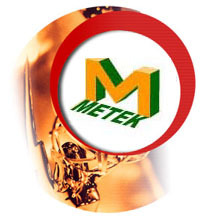 Established in February 2000 by members experienced in import and export business, METEK is a professional supplier of thousands of standardized and customerized quality products for industrial applications. Some products have been shown online, some will be available very soon. We manufacture and export Tooling Components, such as Workholding components (Clamping Kits, T Slot nuts, Swivel Nuts…etc. ), Handwheels, Handles, Knobs, Vices & Clamps, Fasteners, Tool Holders, Jig & Fixture parts. Our product range is regularly renewed. Please leave your contact information and we are sure to keep you informed. We have partners in North America, Thailand, Malaysia, etc. We are seeking for companions for further cooperation from all countries around the world. Please feel free to contact us for further information.